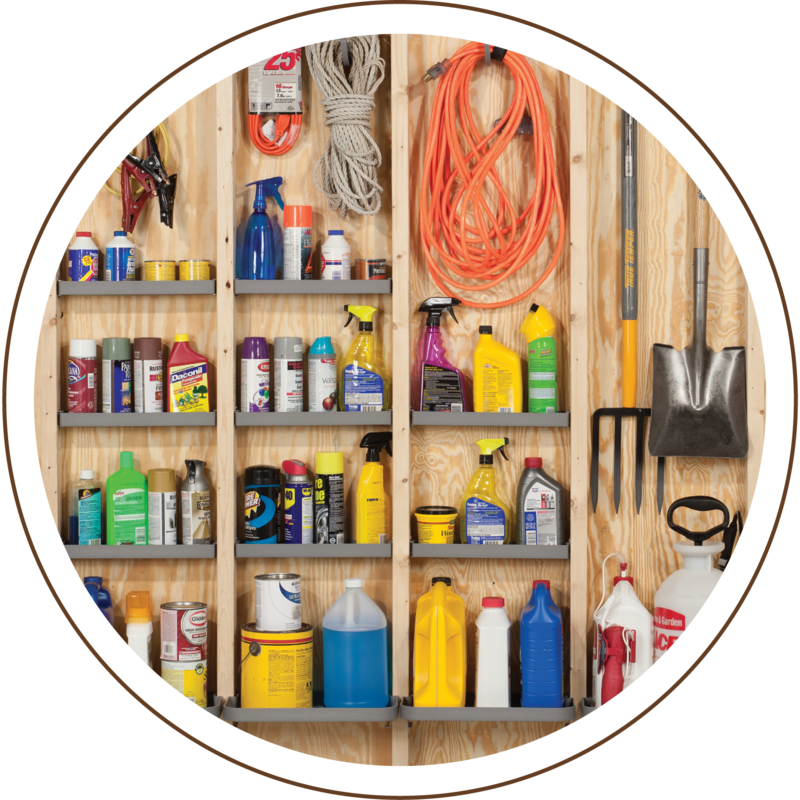 Build your own SHED OR GARAGE! 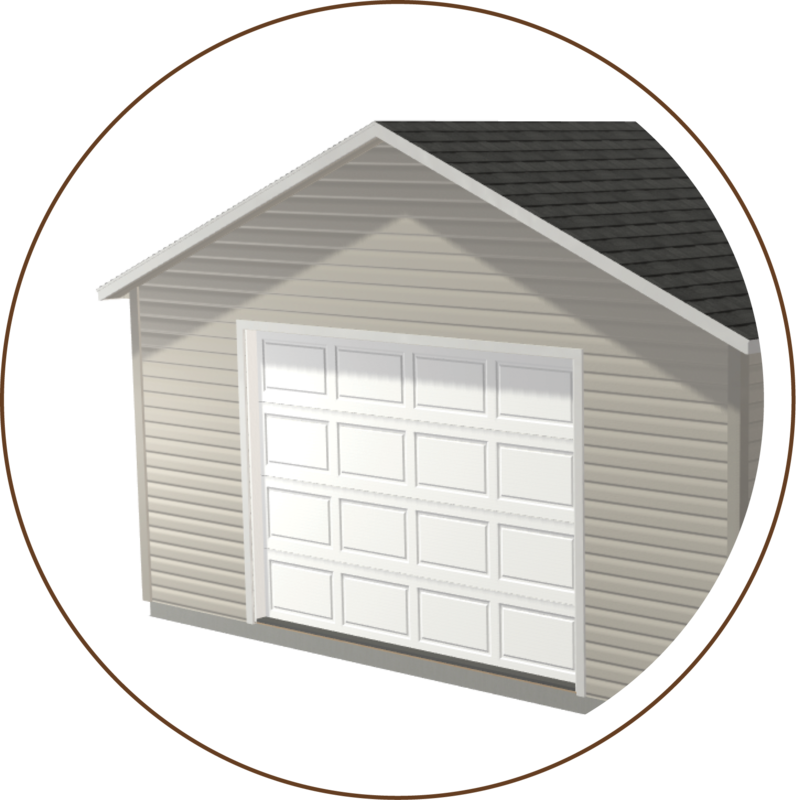 Make this a personalized package by choosing the size, roofline style, siding, and all the add-ons you want for your custom shed or garage. 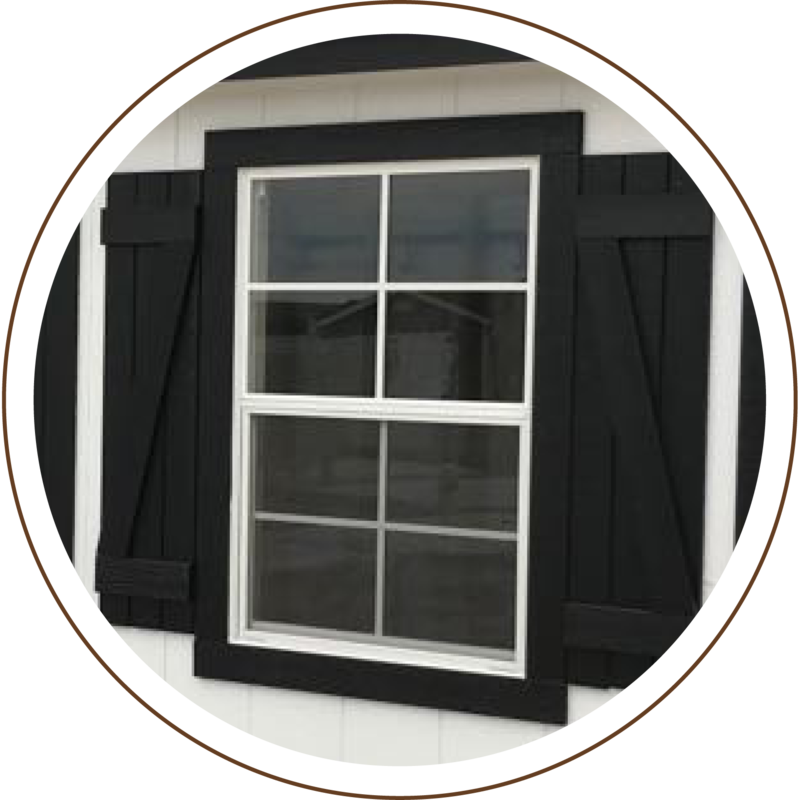 Think about how you plan to use your storage building then consider the amount of space you will need inside, how many windows you want for natural light, the type of doors that will provide the easiest access, and more. There are hundreds of customizable possibilities at your fingertips! 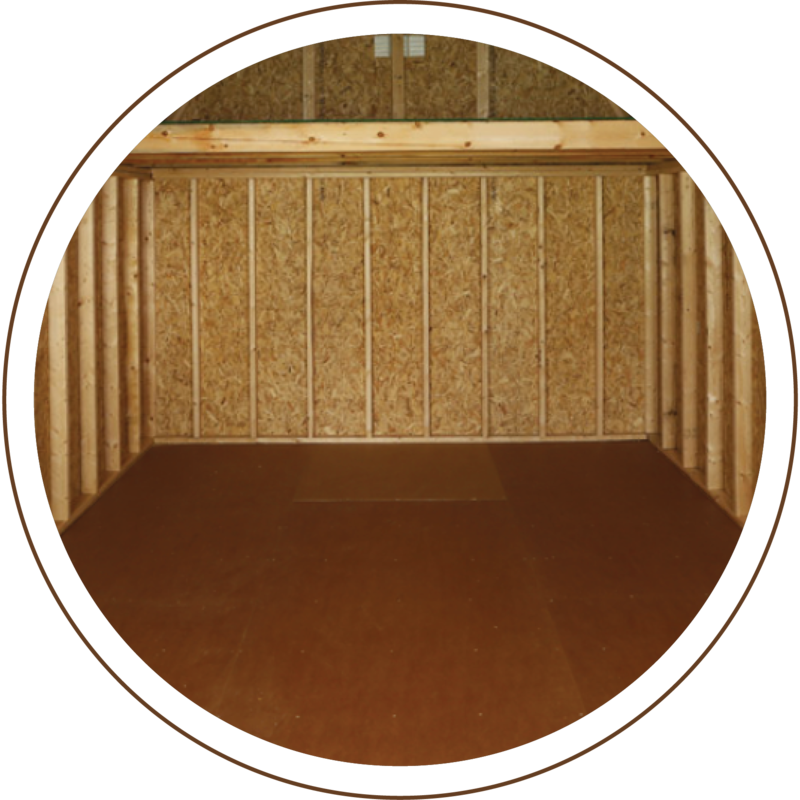 Buying a high-quality storage building has never been this easy. This 3-D model allows you to drag and drop the doors, windows and walls of your shed. 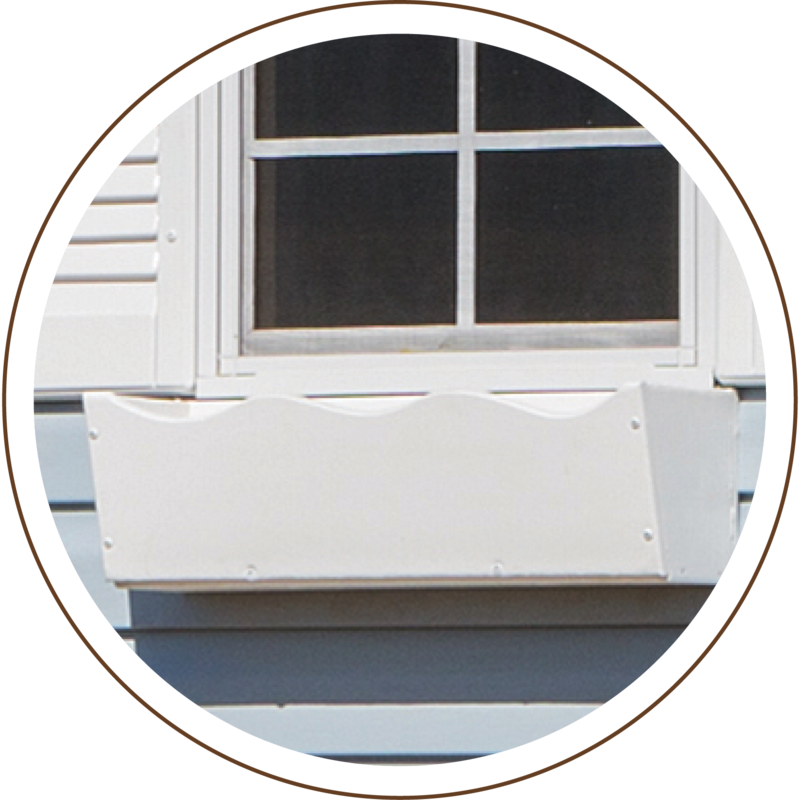 Pick your favorite siding options and colors and more! 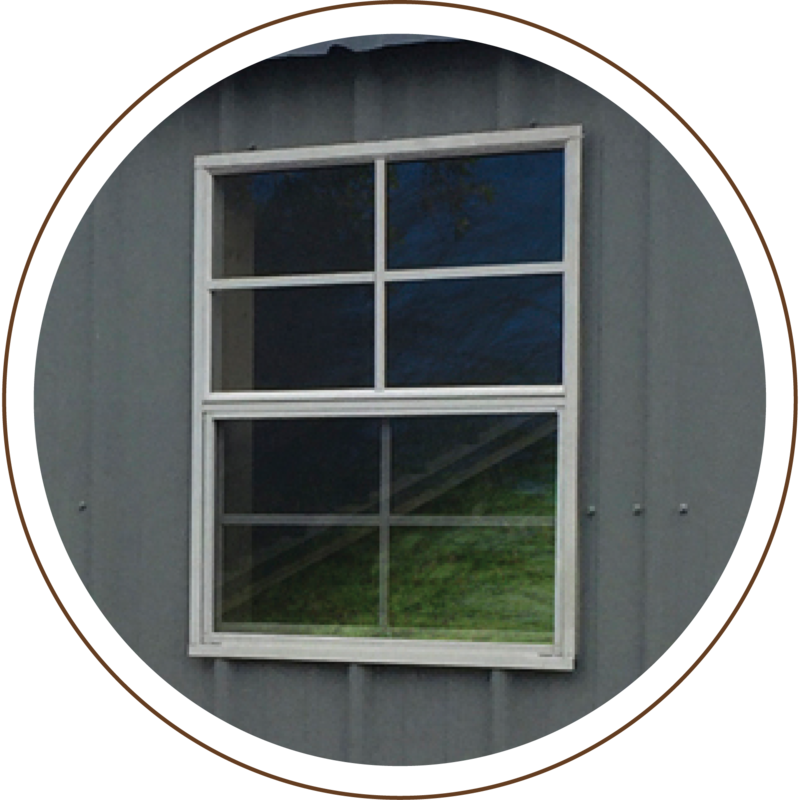 Choose from a range of window options, perfect for letting in natural light. 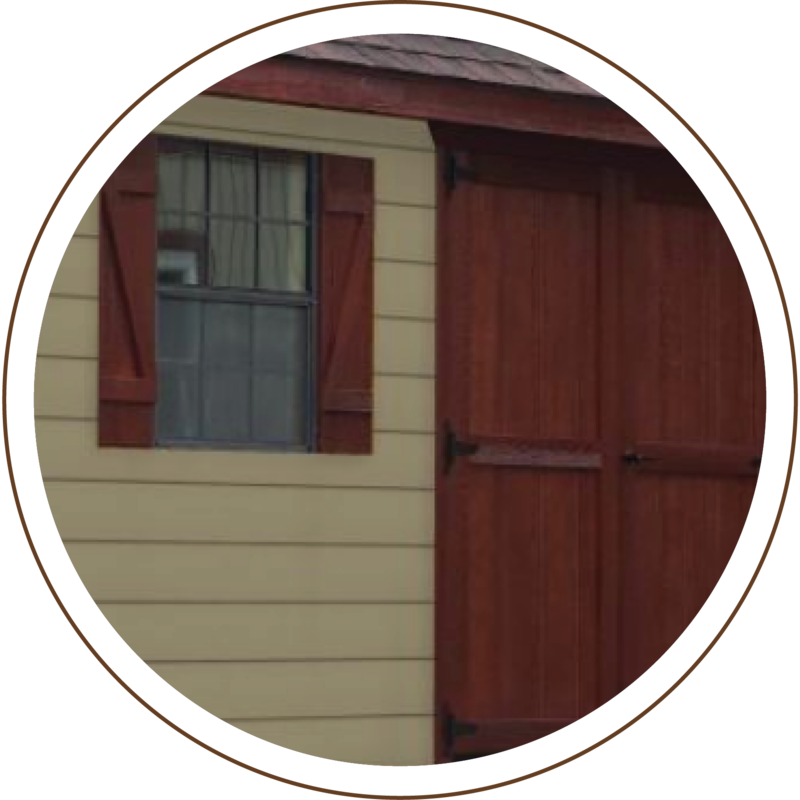 Simply adding shutters to any shed immediately improves the appearance and helps it blend seamlessly with your other buildings and structures. Our decorative flower boxes can add character and personality to any storage building and backyard, plus it adds curb appeal to your home. Clopay Premium Series overhead garage doors boast 1-⅜” Intellicore insulation that improves strength, security, appearance, and operation. 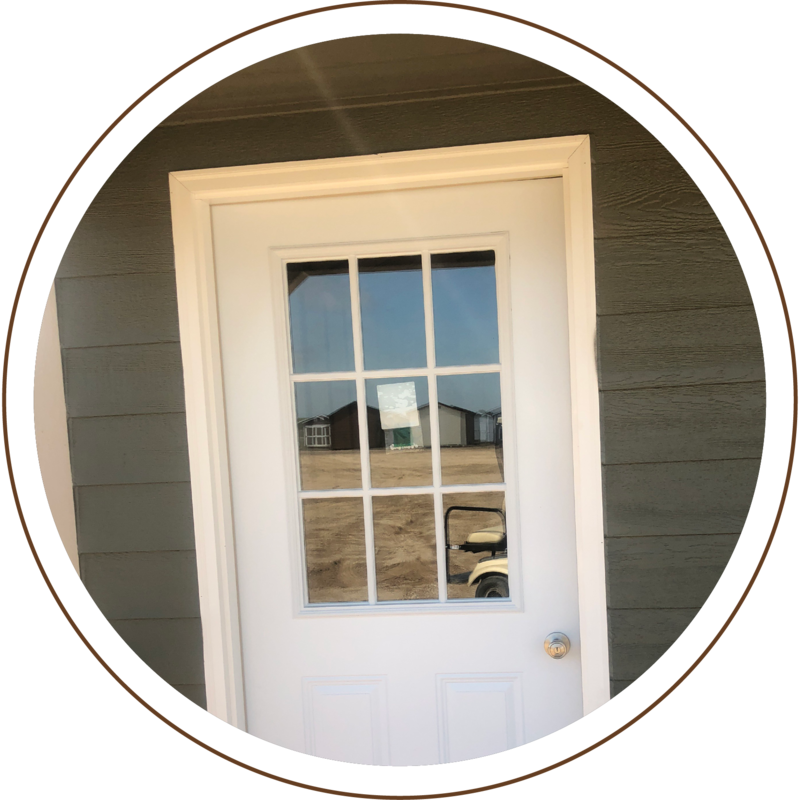 Our 36” prehung entry door with 9-lite window and its frame system is made of a composite poly-fiber material that will not rot, warp, or split. Choose one or two lofts for extra, out-of-the-way storage space and more organizational opportunities. A built-in workbench offers a sturdy table-top workspace. Use it to work on projects or as a shelf to organize small items. The VersaCaddy kit is a complete and versatile storage system specifically designed to utilize the vertical space between 16” on center studs. 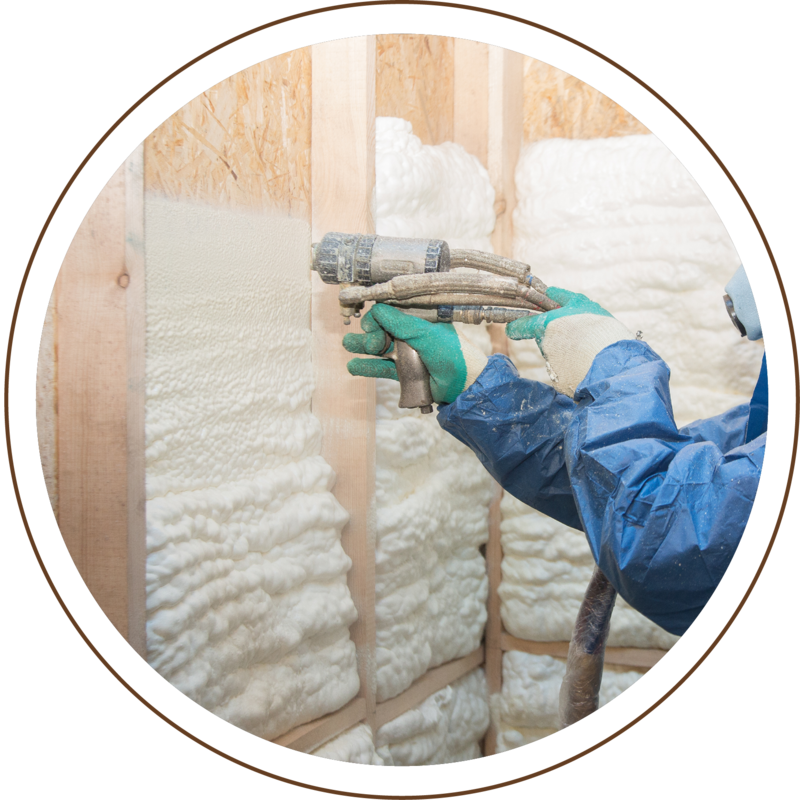 Our spray foam floor insulation is sprayed 2-inches thick creating a watertight membrane of protection against the heat and cold and fills every crack and crevice. 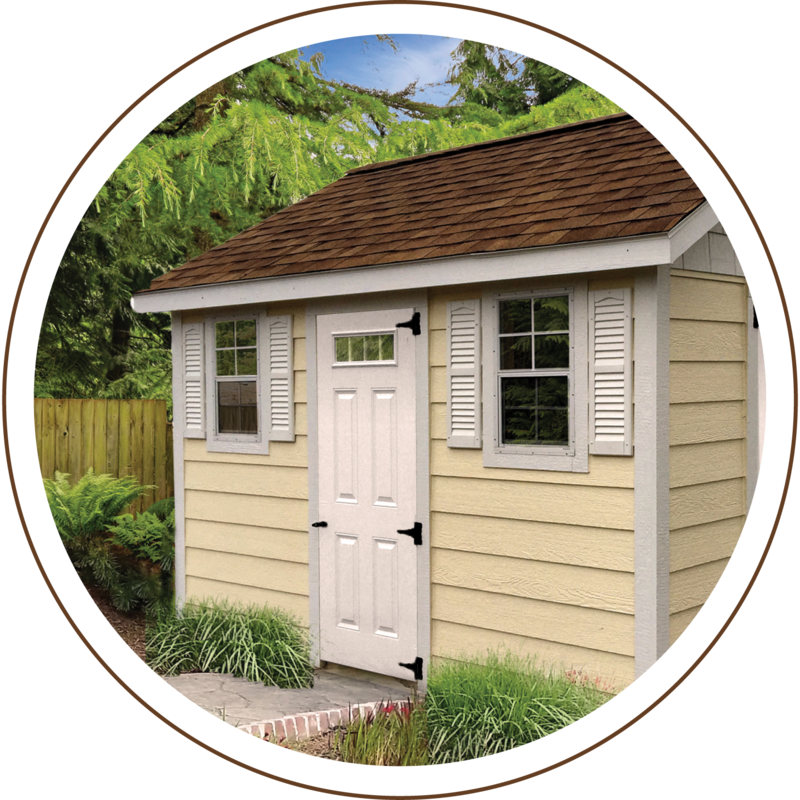 Select a color for the shed then a contrasting color for the trim. We have a range of colors from which to choose. LP ProStruct Flooring With SmartFinish is a durable overlay which creates a clean and beautiful appearance. This flooring resists termite damage, decay, warping, splitting, and cracking. Having a sturdy ramp makes moving lawn mowers and wheelbarrows in and out of the shed easy and efficient. 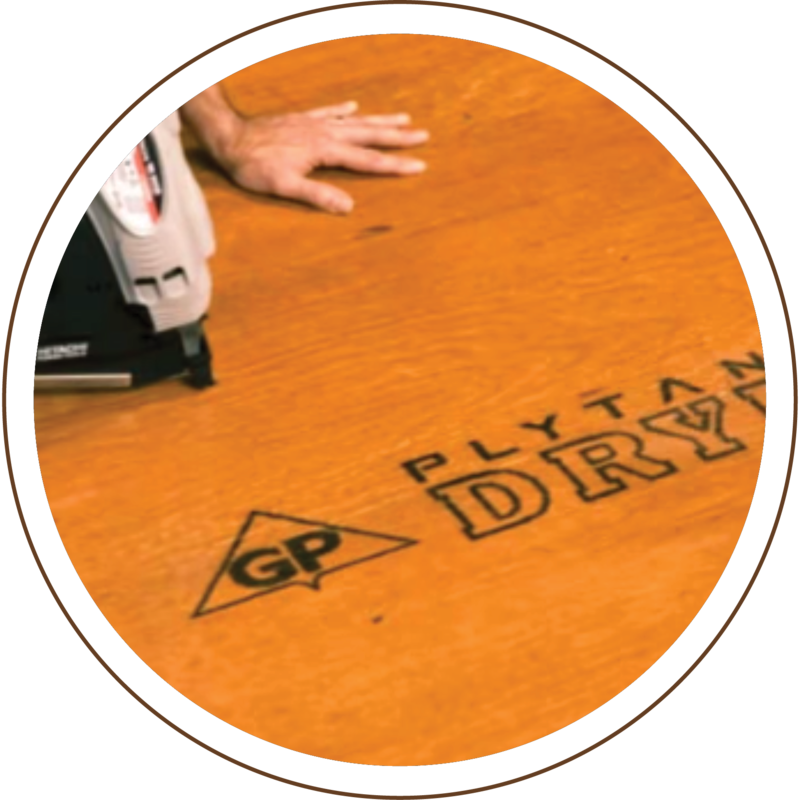 Georgia Pacific’s DryPly sub-floor panels have a water-repellent coating to provide weather protection during the normal exposed construction cycle. 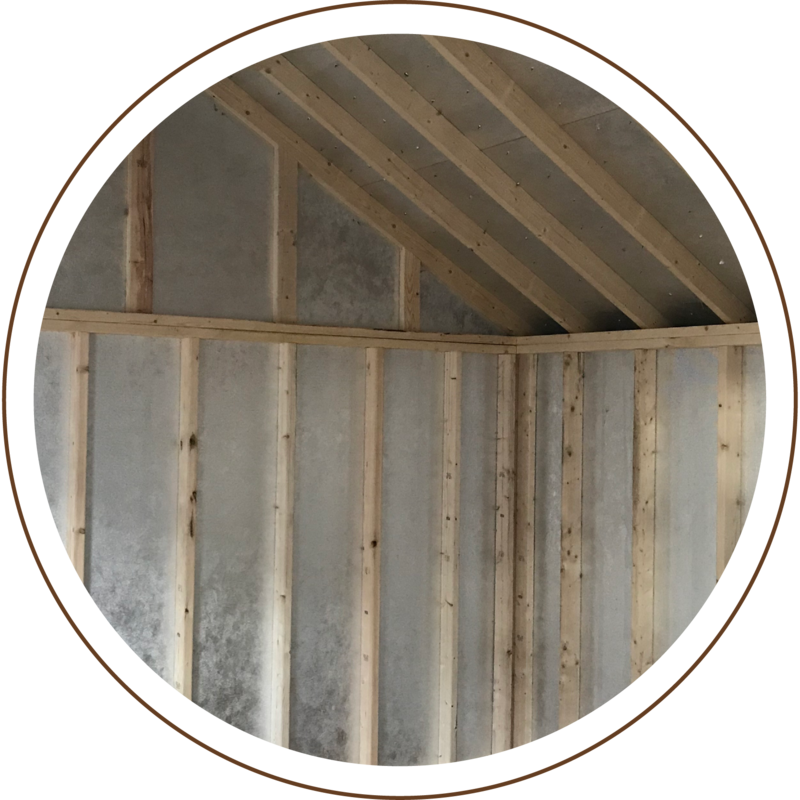 LP ProStruct Roof and Wall Sheathing With SilverTech features a durable radiant barrier that helps keep your shed or other outdoor structure cooler in the summer heat. 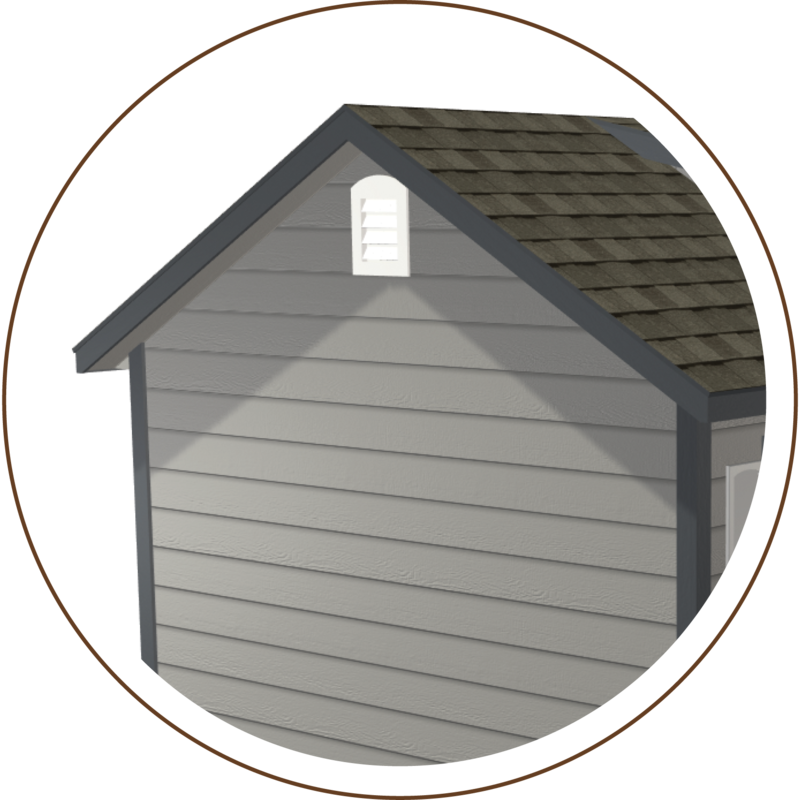 And with its highly reflective, professional-grade appearance, it helps brighten the inside of your shed for enhanced visibility. 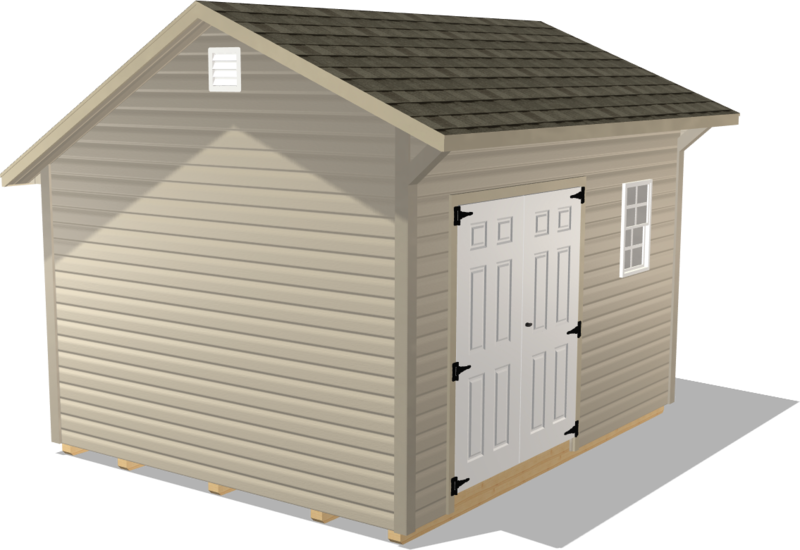 There are many things to consider when looking for a shed. Our interactive checklist will help you decide. Take time to answer all the questions in this checklist. 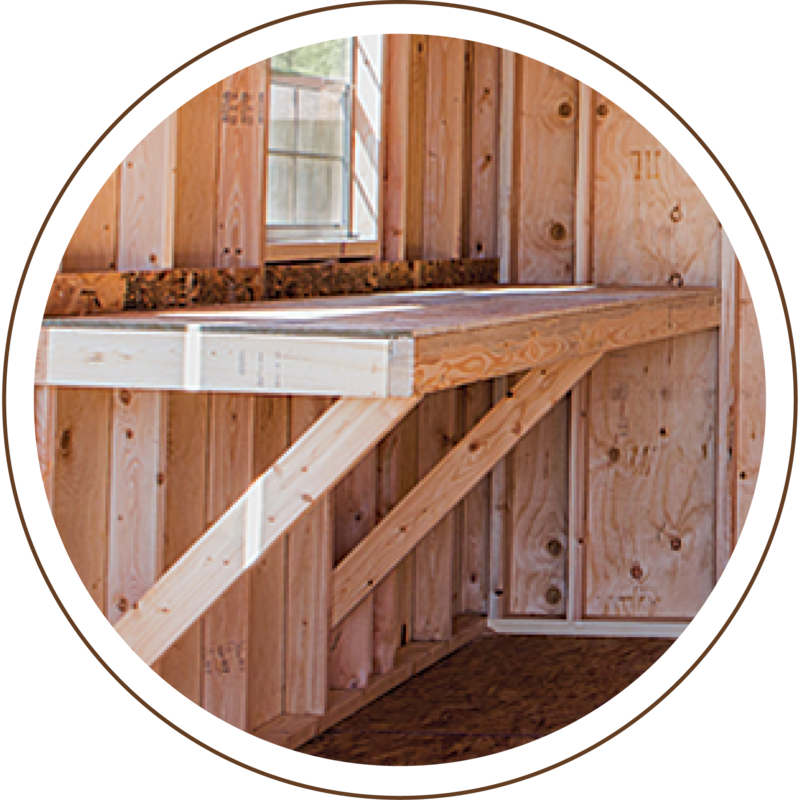 Each section is designed to help you choose the ideal storage building. Once you're done, you'll have clear next steps. Choosing a shed has never been easier.